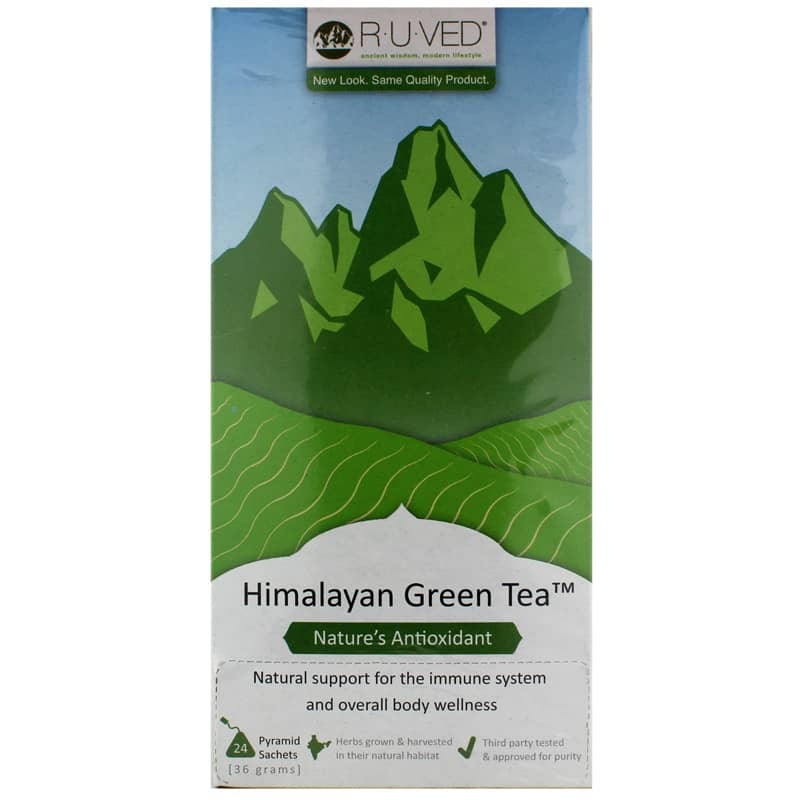 Himalayan Green Tea by Ayush Herbs' RUVed® is an herbal drink that seeks to support your immune system, cellular health and overall wellness. Ships today if you order in the next 15 hours 25 minutes. Ayush Herbs' RUVed uses green tea that's grown in the pristine mountains of India to produce its Himalayan Green Tea. The catechins found in these leaves are antioxidants, so they work to protect our cells from free radical damage and to support immune system health. Another compound in green tea called theanine supports cognition, energy and metabolism. People enjoy drinking this tea for mind and body balance as well as invigoration. This product has been third-party tested for heavy metals and other contaminants. 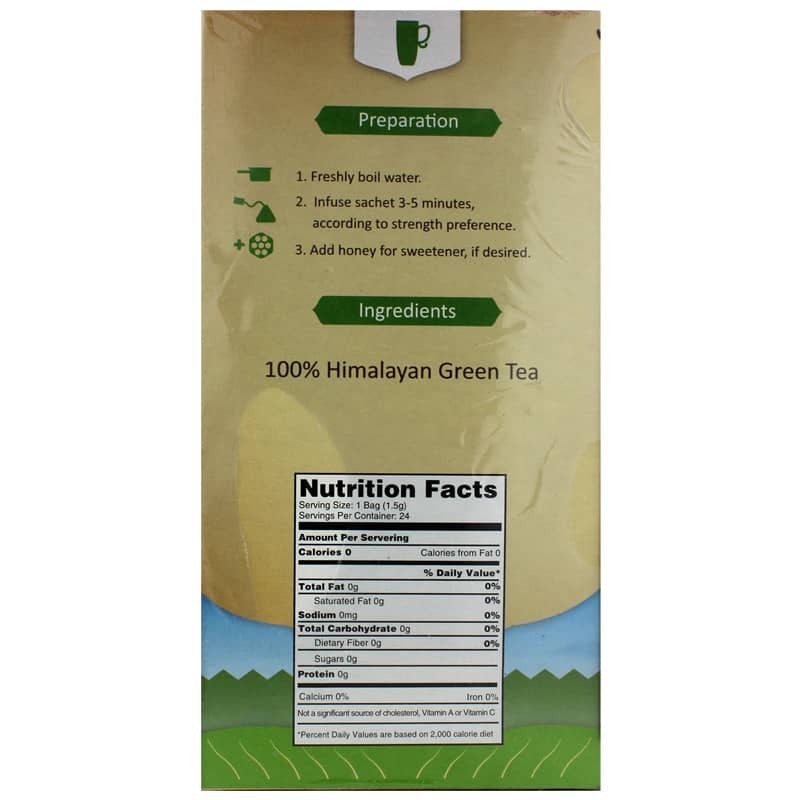 If you're looking for an herbal drink that may naturally support your immune system, cellular health and energy, consider Himalayan Green Tea from Ayush Herbs' RUVed. Experience the potential benefits for yourself! 2. Infuse sachet 3-5 minutes, according to strength preference. 3. Add honey for sweetener, if desired.